I have been expecting some downward movement this year but it is a pity it has not materialized yet. Last night I was reading articles on Marketwatch on how the fear index is plummeting and how earnings and China have made recession a distant memory which were both pretty intriguing to me. I have mentioned previously about the inverted yield curve and how it is used as a recession indicator. My take is this: so far the S&P 500 has returned approximately 10% from 1926 and it seems like any point of entry will not severely shortchange you (assuming the companies you buy do not go defunct). Therefore, I have shortlisted a list of stocks which I would really love to buy. These are based on my initial interest and I will delve into the subsequent analysis later. Please suggest any more stocks too, I will be happy to look at them. Hope everyone has been investing well. 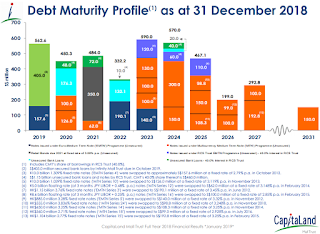 Recently, CNBC posted here that there was an inverted yield curve, which signifies that debts in the long term have lower yields as juxtaposed to their short term counterparts. The article is really very detailed, but what is key here is that it is considered an indicator of an upcoming recession, where it was largely accurate in the last 50 years and only a false alarm during this period. If we think about it from another view, higher short-term rates mean it is harder for businesses and people to borrow money and might lead to an economy contraction, which results in a recession. Well, I am looking at this from a different perspective of the article, where I am camping to buy stocks at depressed levels, which this opportunity might bring about. 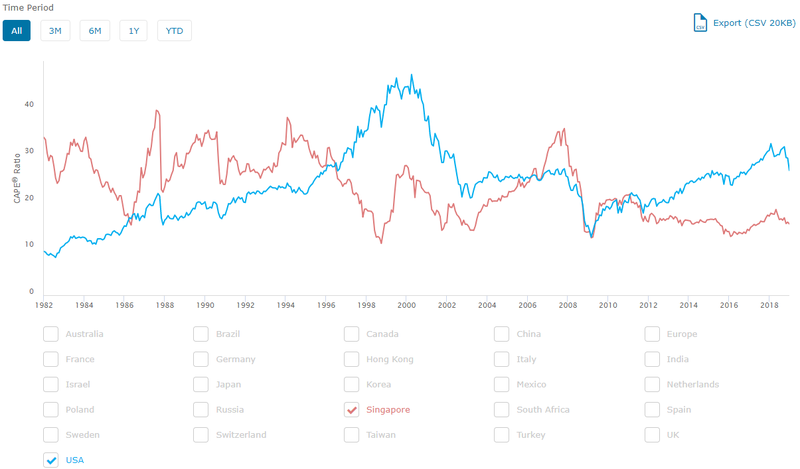 I talked about the Shiller Ratio in my previous post, where Singapore shares still look pretty undervalued compared to their US counterparts, but still at a score of 15+. With growth concerns looming for 2019, I doubt there is ample bandwidth for stocks to rise significantly. So instead I will be waiting for opportunities to buy when prices drop (hopefully). But of course, my guess is as good as yours. What's your strategy? Pray tell! I received some comments about a survey list so here I go! This is one of my favourites as the number of surveys here is quite plentiful and you get about 9,000 points per survey and some mini surveys for 100-1000 points during certain events. Minimum redemption is 20,000 points which equate USD 2. This is another in my list but one caveat here is that you can get disqualified in surveys pretty easily. Sometimes they give you 1-2 participation points and some points in a lucky draw (randomly). Minimum redemption is 2,500 points and in multiples of 2,500 points. 2,500 points equate USD5. I particularly like this website as they email you when there is a new survey so you don't have to intermittently check the website for surveys. Surveys also generally have a high qualification rate. Minimum redemption is 45 points and in multiples of 45 points. 45 points equate SGD3. I love this app too because I can (almost) get one survey per day and I think I have not been disqualified by any survey yet. There are a variety of rewards here where you can get vouchers but for those looking for the cash, minimum redemption for Paypal/Paynow/Grabpay is 9,500 points for SGD10 and 18,500 points for SGD20. This is not bad too but one caveat is that the frequency of surveys is just too slow. But good thing is they will email you when there is a new survey and disqualification is pretty rare. Minimum redemption is 5,000 points which equate SGD25. I used other websites such as Prizerebel and Toluna which were pretty good last time but I think as of now, the survey generation rates are not as good so I have not been visiting these websites recently. If you do find success there, please let me know! Survey Taking- A worthwhile effort? I thought I would like to share about what I have been recently doing and hear any opinions about it. In December last year, my friend shared with me about taking surveys for some pocket money and I guess my curiosity got the better of me. Therefore, I decided to run a little experiment on my own and start to google and take some surveys to see how 'lucrative' it could be. I have been taking surveys for 3 months and I went to check my Paypal wallet yesterday and I thought I would like to talk about the results to see if it was a worthwhile effort (or not) and whether you should consider it given the potential returns. 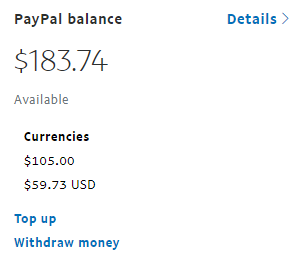 Firstly, I started a Paypal account back in December with a beginning balance of $0 and come March now, my balance is $183.74. The diagram further illustrates the breakdown on a monthly basis. Secondly, I have been using mainly my travel time on the MRT to do surveys so instead of looking at photos on Instagram or surfing Facebook feeds, I thought why not monetize my free time? $183.74 over a period of 3-4 months is about a monthly amount of $45-50. I would like to think of it as a nice amount which can pay off my phone bills. But that is how far it can go and no further. Different readers will definitely draw their own conclusions from this post based on their very own experiences. But I will be looking forward to hear about your own experience and even advice regarding my little experiment. And off to reading more financial news! A quick observation shows that CAGR was generally around 5% which can be attributed to the depressed levels during the 2009 periods. CAGR then plummeted below 0 around 2014-2015 periods and stayed negative aside for the anomaly there which is attributed to the 52-week low of 2.8 levels which is a distance from its current price of 2.94. This is inclusive of the dividends distributed over the period. The point which I want to make here is that the time of entry point is not the only important factor if the stock itself is not faring well. 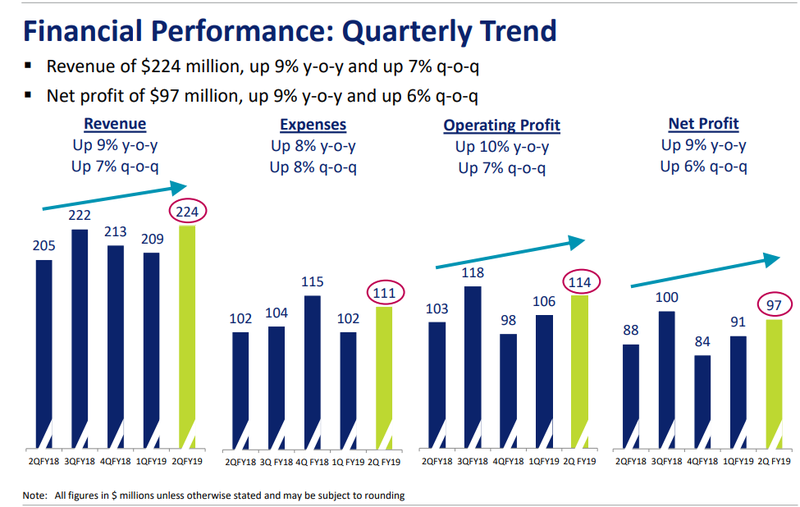 Indeed, Singtel has not been performing up to standard since the entry of the 4th telco in Singapore. The picture we have here is definitely not as rosy as the previous example I used (Capitamall trust). 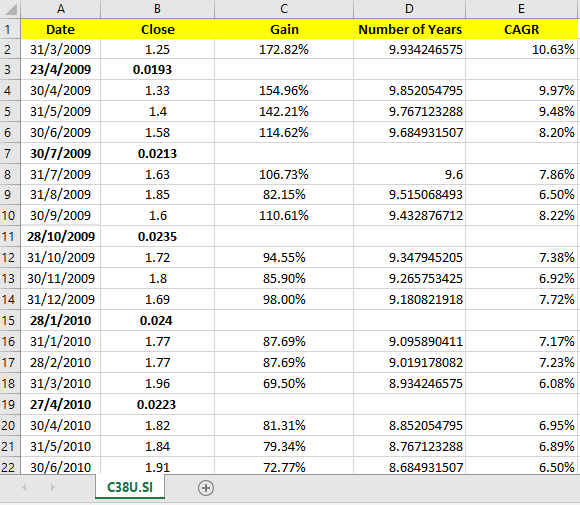 Let us look at a comparison between CAGR of the two for clearer analysis. 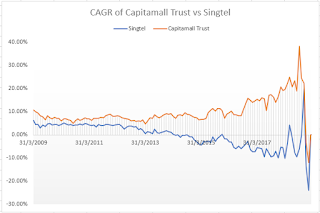 We see that the CAGR of Capitamall has been generally superior over Singtel, lest the 2018 periods of volatility. 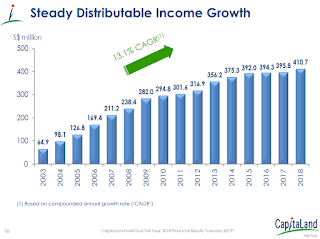 This further reinforces the point that finding a fundamentally sound stock which can dish out a constant stream of dividends is more important than ever. For those who are interested in the technical details of this implementation, I downloaded the data from Yahoo Finance and used Excel VBA to calculate the ending value (with dividends) which I can in turn calculate the CAGR. I wish I could have built a more robust model without much hardcoding but I guess this is a good starting point as my time is rather limited nowadays. I am putting the Excel VBA here and who knows, maybe someone will build something much better than me? Hopefully you will have fun with this too! I haven't posted a while because school was really busy this month with me rushing through my FYP! Nevertheless, I am glad to post again and share some ideas I have. We always ask ourselves when to enter a stock and either lament when the stock drops after we bought, or when the stock rises if we did not buy. Now, I would like to present this situation in a more technical format, in the form of an Excel spreadsheet. One example I will be taking here is Capitamall Trust. I scrapped the price and dividends data from Yahoo finance and did a simple analysis here. For simplicity's sake, I used the closing data of every month to look at it from a monthly point of view. The gain here is the net profit here. For example, if gain is 172.82%, that means you will get $1.72 for every $1 invested. Compound Annual Growth Rate (CAGR) will be what I'm using to gauge here and for those not familiar with it, it is just the (Ending Value of Asset - Beginning Value of Asset) taken to the power of (1/number of years), then divided by 1. Basically, it measures the growth rate of an initial investment to its current value. To be clear too, I am accounting for dividends in the ending value to have a more accurate view and the ending value is the current price of Capitamall Trust now. 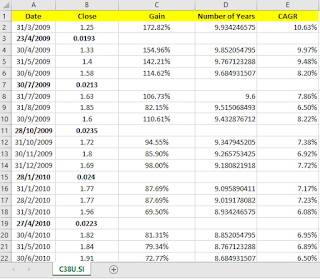 For a more elaborate explanation of CAGR, you can check here. 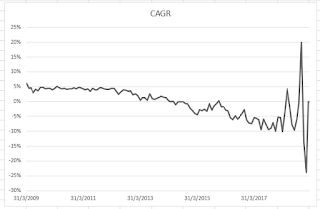 I then plotted a CAGR graph over time here for a better visualization. 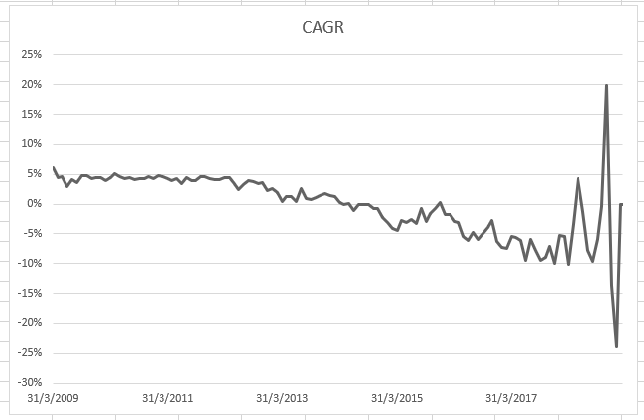 So we notice that CAGR has been fairly constant at about 6-7% and then a sudden spike up at 2017-2018. This can be attributed to the run-up prices during the 2017-2018 period if many of you all may recall. But ignoring this outlier, we can see that any point of entry will yield us a decent CAGR of at least 6%. So during any point, it will be good to enter even when prices are higher than normal. But of course this model has its caveats. The reason why the picture looks so rosy is because the reit now is close to its 52-week high, which greatly inflates its ending value. If the price was any lower, CAGR would be lower than the current illustration. Another reason would be because of the consistent flow of dividends. I suppose if you replace Capitamall Trust with a bearish stock, things will not be so brilliant. However, I hope to bring through the message that timing the market might not be that important after all, it is identifying stocks with good potential that is the key. Of course, if we can time the market, our returns will be better enhanced but if we can't do that, we still can enjoy pretty good returns. I hope Chinese New Year is great for everybody, a good break amidst a busy schedule! One more stock which I am interested in is SGX. My recent thoughts were invoked by this article which was about the 'shrinking stock market' in Singapore. 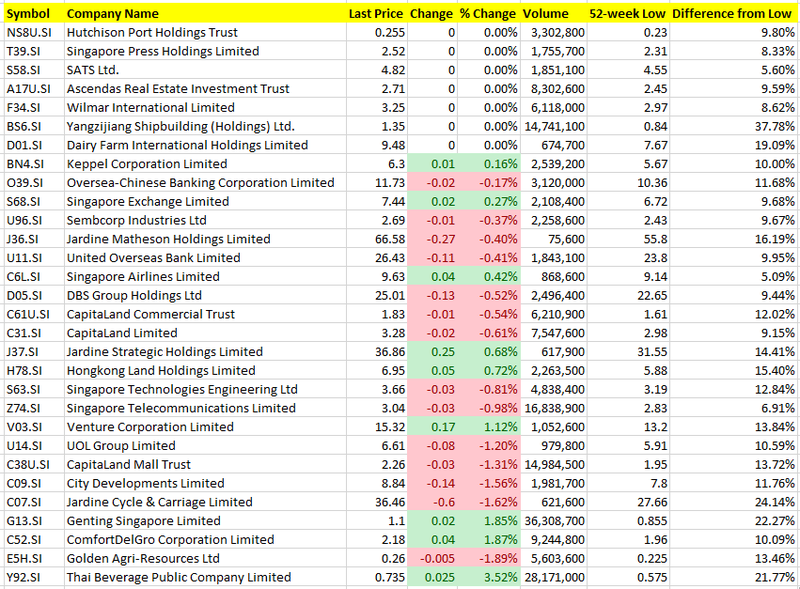 From face value, this translates into a lower trading volume which does not bide well for SGX. But I thought it would be interesting to read the financial statements. 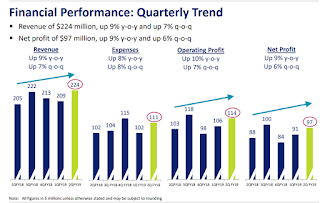 Here is the quick look at the financial performance for this quarter. Net profit went up in spite of an increasing expense. 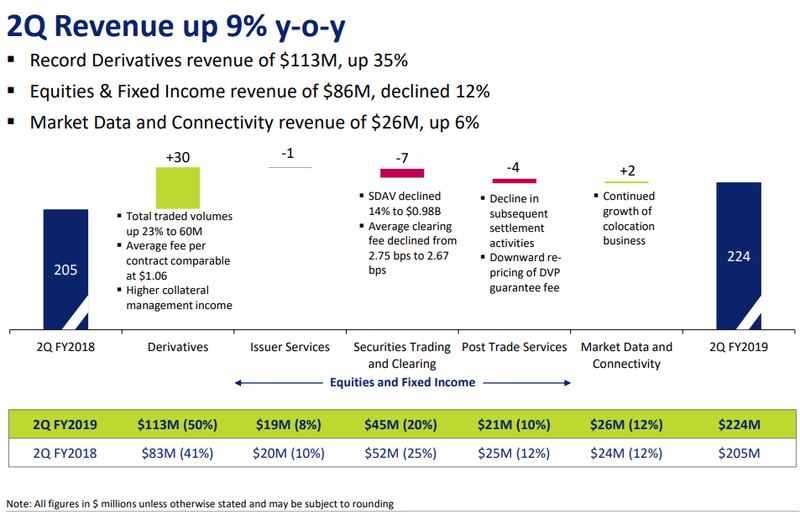 A breakdown in the revenue shows that the bulk of increased profit came from derivatives trading. Market data and connectivity also helped contribute an increase in revenue. Notably, SDAV (security daily average value) went down which contributed a slight drop in revenue. This is in tandem with the article which I posted above. Other factors contributing to the decline included a drop in fixed income revenue too. Dividend for this quarter stands at 7.5 cents which is a comfortable amount given that earnings per share is 9 cents. I think I have mentioned before in my previous posts but potential risks include a possible trade war and interest rate hikes, which will affect the financial markets. 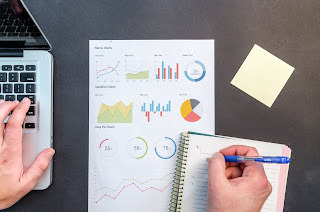 From the recent financial statements, we can also infer that there is a shift of preference from the traditional stock market trading to derivative trading, which is pretty notable. In volatile times, more market participants might turn to derivatives either to hedge or initiate a position. 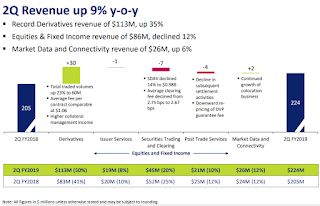 Besides this, what I like is SGX's dividend policy, which the management will aim to pay 7.5 cents per quarter. Of course, we cannot 100% take their words for it, but a word of assurance does help boost investor confidence. We do note that dividends per share are currently below earnings per share too. 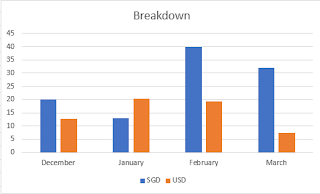 With reference to the article which I posted, there is some worry that companies will choose the HK market over Singapore due to the higher liquidity there, which will affect SGX's business as a whole. Since the derivatives section for SGX seems to be the highlight for now, it is pretty good that an increase in volatility will mean an increase in derivatives trading. 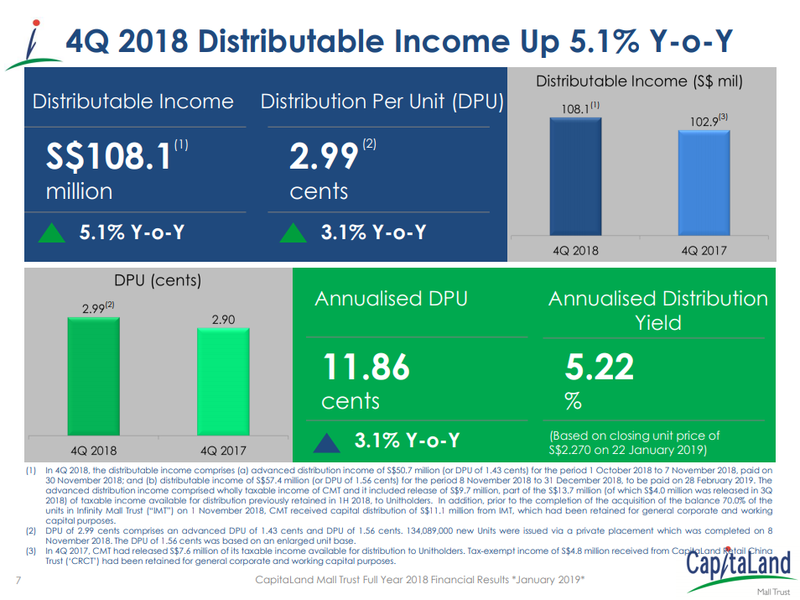 Currently SGX is trading at 7.7 with a PE of around 22. Dividend yield is 3.89% at current price, assuming 30 cent dividend policy stays constant. The 52-week low is 6.72 which is pretty far from its current price. At that price, dividend yield is 4.46% instead. 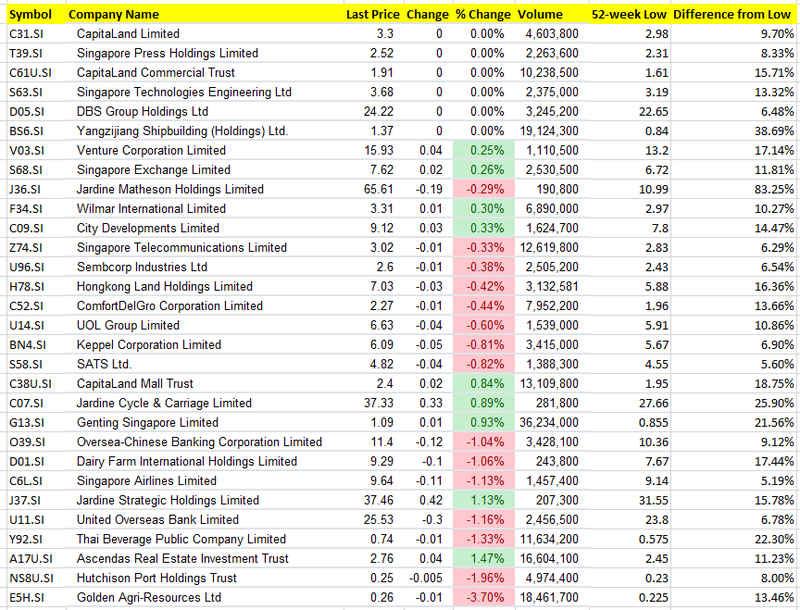 If we go by 'common sense', SGX can be considered a defensive stock with no natural competitors here. But we should not forget that SGX has competitors nearby in Hong Kong where IPOs can flock to. I will be looking to accumulate at 7 which seems to be the last support here. Happy Chinese New Year everybody! I can't believe that it has been 2 months since I started blogging. I guess if you have been following my previous posts, I am mainly concerned about the current valuation of the stock market as it gives me an indication of when to buy. So one thing that caught my eye on Investopedia was this which was quite interesting to me. The Shiller Ratio is a measure which is equivalent to the current price divided by the average of 10-year period of real earnings per share. It is inherently an extension of the Price-Earnings ratio, albeit adjusted for inflation and different phases of a normal economic cycle. It is a ratio to determine an overvaluation or undervaluation of any financial asset, but also accounting for cyclical factors that artificially inflate or deflate a company's earnings. 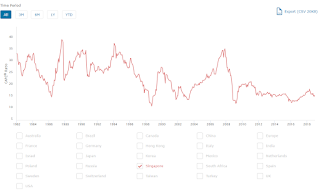 Of course, Singapore is my main point of interest, so I managed to find the historic Shiller Ratio from the Barclays website. 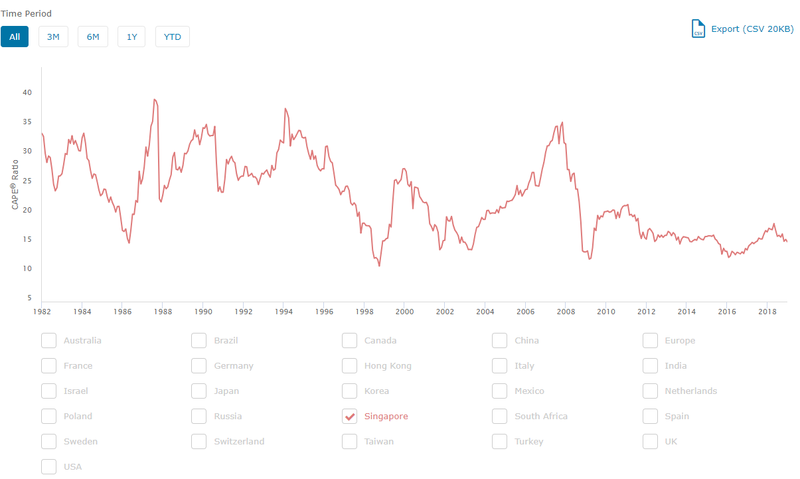 As of 31 December 2018, Singapore's Shiller Ratio stands at 15.21, which is pretty decent considering that it is rather low given the peaks you see in the above diagram. Notably, the peak was around 35 in October 2007 before plummeting during the Great Financial Crisis. Looking at current levels, it does seem compelling for a buy. Let's look at the pros and cons here. The pros should be quite evident, where the Shiller Ratio has accounted for expanding and contracting business cycles using a 10-year period to smooth earnings, which is not represented in a normal PE ratio. This can ensure that outliers like the Great Financial Crisis will not greatly affect the conclusion we will get. After all, this is all about the law of large numbers, where the end result should be stable and generally similar. Obviously, there are some disadvantages which might/might not be of significance. I think the first point is that the Shiller Ratio is based on past data which is retrospective and does not provide any prospective meaning, aka knowing what happens in the past does not make you 100% sure about what the future entails. But still, I think the Shiller Ratio is a good enough gauge for us to assess the valuation of the market. 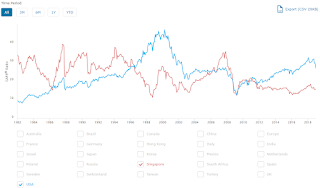 I am currently thinking of diversifying outside of Singapore and buying some undervalued US shares but if we do apply the Shiller Ratio which we previously discussed, it seems that the US market is even more overvalued than the Singapore market. The US market has a Shiller score of 26.64 which represents a pretty huge margin over Singapore's score of 15.21, which generally means it is harder to find undervalued gems in the market. But it is always good to shortlist first, and then pull the trigger later. The current Shiller Ratio for the S&P 500 is 29.75, with mean of 16.6, median of 15.7 and a range from 4.78 to 44.19, where the current market is slightly overvalued and above its mean. My recent call on SATS at 4.5 has not been feasible, where SATS is trading at 4.8 currently. 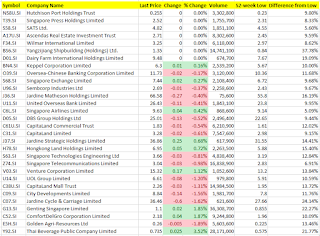 Parkwaylife Reit is also at 2.79 and Capitamall Trust at 2.39 which is a tad too high for my taste. 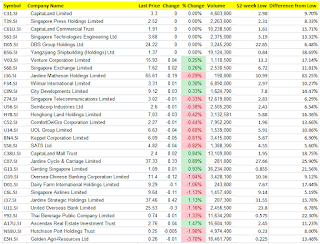 Mapletree Industrial is at 1.99 and Mapletree NAC is at 1.25. All the stocks had run up pretty high after my writing so I didn't get the chance to buy. But I do hope I am rewarded for my patience as I am of the view that high prices don't always last, just like how bullish markets don't continue forever. We will see again! I will write more again after the new year about some US stocks I had some interest in. But for now, it's visiting time. Cheers to the new year ahead! It has been a bullish market so far where there has not been much buying opportunities in my opinion. SIA is the nearest to its 52-week low at 9.64. Even so, I am quite amazed at the bullish streak so far. 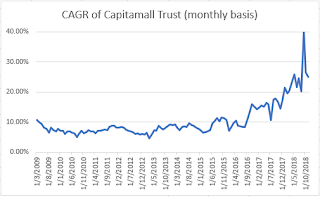 Capitamall Trust is now trading at 2.4, a 52-week high and a whopping 38 cents premium over its NAV of 2.02. It is on my radar but I will be waiting to drop back. A 52-week high is definitely not the best time to go in but still, it will be good for me to document my rough analysis here. So a quick glance here tells us that the DPU has increased from last year, which is a pretty good sign with all the rejuvenation and asset enhancement works in FY18, which we can superficially infer that there is some correlation. Dividend yield is 5.22% at the time of the report, and probably lower now when Capitamall Trust is trading higher now. What I also like here is the general increase of distribution income (DI) over its 2003 inception with a 13.1% CAGR. But a observation I would like to point out here: we can see that the rate of growth of DI was generally much higher during the 2003-2008 periods where DI increased by roughly 20-30% yearly as opposed to recent periods where increase year to year was slightly less than 10%. This may suggest a slowdown as we are approaching a saturated market in Singapore where future growth might be inhibited. 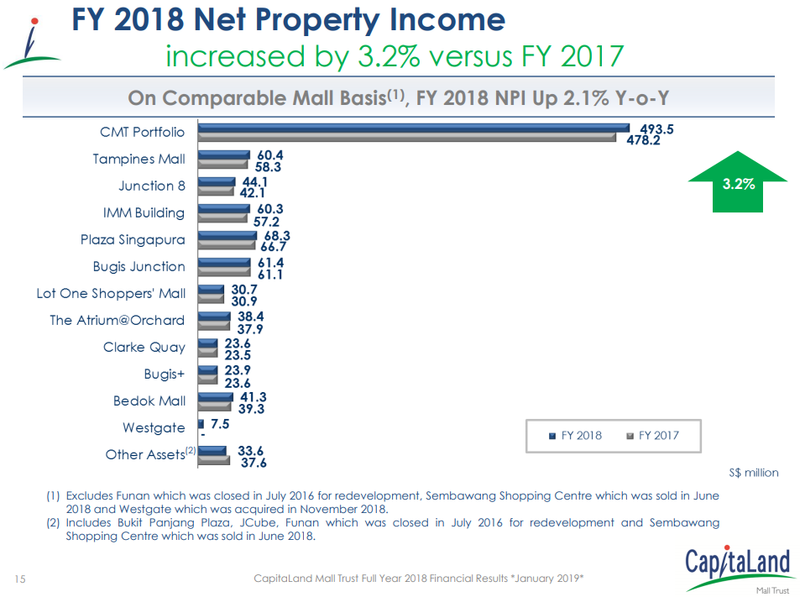 At an individual property basis, net property income is generally increasing by 3.2%, where we can see that redevelopment and selling of Sembawang Shopping Centre did not adversely affect the whole portfolio. Other important information include a gearing of 34.2%, interest coverage of 5.2 and a 3.1% average cost of debt. 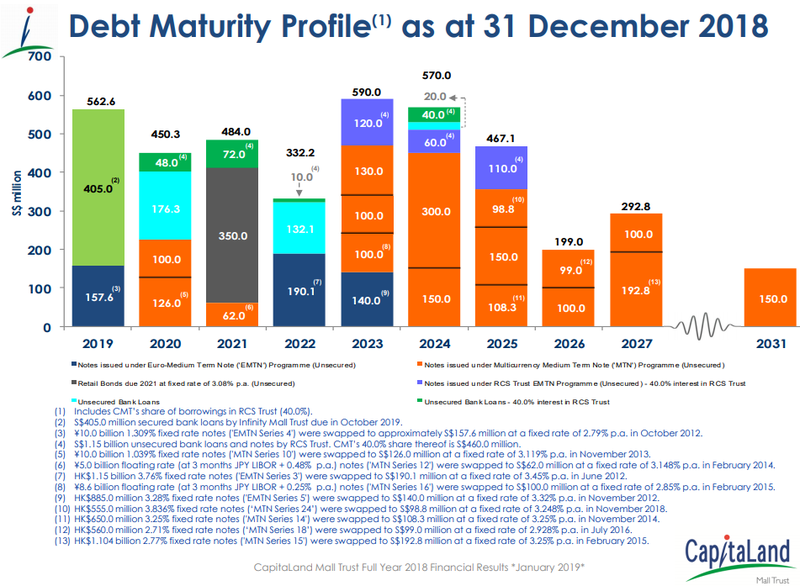 We can see here that the reit has averagely S$400-500 million worth of debt from 2019 to 2024, which accounts to a rough gauge of S$12.4-15.5 million of interest coverage assuming a 3.1% cost of debt. This is still pretty manageable by the reit for this period if they can maintain their net profit. Talking from a macro point of view now: Capitamall Trust is easier for me to evaluate as it is local and in Singapore. Although the threat of e-commerce is still there, it is not as prominent as in other countries like China. Consumers still like the brick and mortar feel where they can enjoy the love of shopping. I am also inclined to believe that the shopping malls here cater to families who just want to enjoy a lovely weekend night out, so e-commerce should not too much of a threat here. 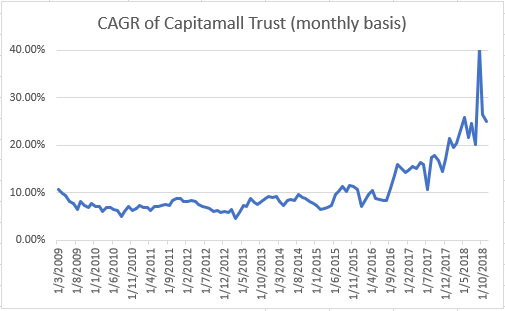 However, if the slowdown from China persists and there is a macro recession, Capitamall Trust may not be spared too. 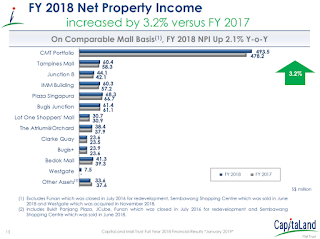 Nevertheless, it should be less affected by the other reits who derive overseas income so it is a good bet if we are banking on the Singapore consumer industry. 2.4 is too expensive for me and I will be looking at a price of 2 which represents a comfortable margin of safety for me. Once again, the only cost I am going to incur here is opportunity cost but I will like it over an unrealized loss so we will see how it goes with the Singapore Budget 2019 coming next week. Cheers! Our market has been rather bullish so far, where I think the amount of buying opportunities is rather scarce. Therefore, I have just been reading financial news and reports to keep myself abreast of the current financial situation. One of the highlights from my reading has been the US government shutdown initiated by Trump. Although this is happening thousands of miles away from me, I still thought it was rather relevant in my context. 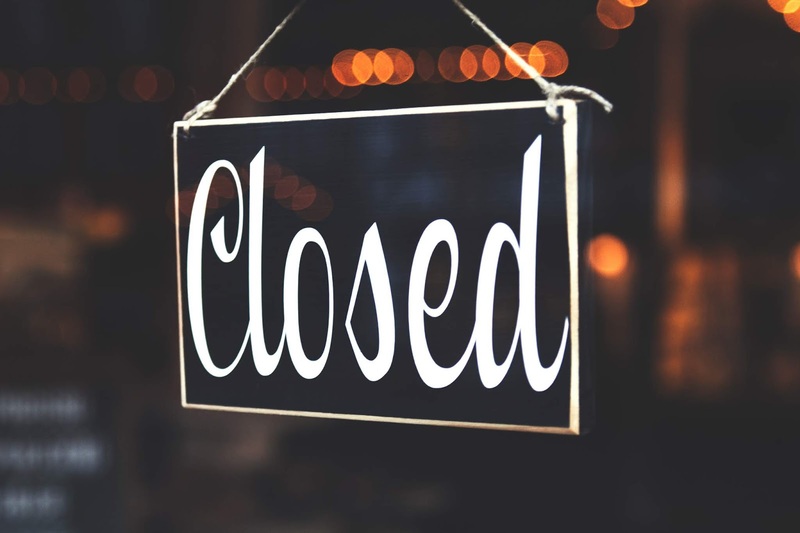 It was reported that the shutdown has been the most detrimental for US workers living paycheck to paycheck, where they could not pay their bills on time and some had to even resort to taking loans. Some workers did not report to work because they could not even afford the fuel needed for transport. Now to bring it to my context: imagine if there was a government shutdown in Singapore, or even a shutdown in my company, how long would I last without my salary being credited every month? I remember reading about how we should allocate 6 months worth of expenses in a contingency situation where we can react to any situations. But I think building up this fund might pose a challenge especially for people like me who are just starting work soon. 1) I have not been really enforcing this on myself because I am not employed yet, but I strive to at least maintain my account balance every month. So if my balance of my bank account is $1,000 on 1 January, I will try my best to make sure that it will be at least $1,000.01 on 1 February, and of course if it is $1,100, it is a little bonus for me. 2) Ideally, I am targeting to save at least 10% of my remaining salary (after CPF and tax) so that I can build up my contingency fund as soon as possible. This might be tough with any additional commitments, but this is my goal for now. And lastly, in times like a shutdown, alternative sources of income are the most important. I will continue to build my portfolio which can generate healthy sources of income in the long run and decrease my dependency on that monthly paycheck. A high bar but a necessary goal! Please comment if you have any suggestions or feedback too! There has been a slight rebound in global markets with STI at 3,220.56, which is a decent distance from its 52-week low of 2,955.68, a 264.88 point difference (8.22%). The same holds for true, where we can see from our STI list here. As you can see here, I revamped the table to include more details of the STI stocks. 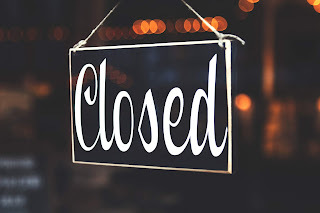 Last prices are closing prices as of Monday 21 January 2019. The stock which is closest to its 52-week low is SIA at 5.09%. SATS is the second closest, where it is 5.6% away. You may recall my previous idea of buying at a price of 4.5 but SATS recently ran up and I will be waiting to see if it will fall. Possible reasons for the rebound might include borrowed confidence from the US market, which has seen an impressive rebound itself to 24,706.35 currently. Slower growth does mean that China will be able to buy less stuff from the rest of the world. We note that China is the number 1 country where Singapore exports to, so a slowdown here will inevitably spread to our economy. I think I said this in previous posts, but this is always worth a mention as interest rates are one of the central elements in an economy. Hikes in interest rates should affect an economy in theory. Other intermittent risks will be the political instability in US and UK due to the uncertainty respectively arising from Trump and Brexit. Singapore reits are also pretty overvalued as it seems, and there will definitely be room to fall if major risk 1 and 2 comes into fruition. As of now, I do not have any ideas of anything to buy, so I will be happy to hear your lovely ideas. Please share and/or comment!